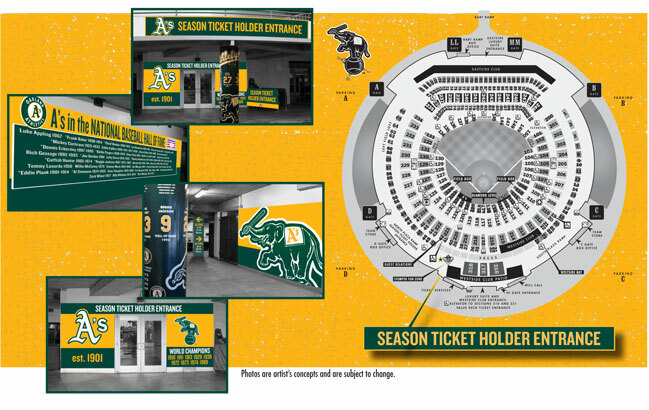 New For 2012: A’s Season Ticket Holder Entrance! You want it? You’ve got it! STH entrance is another great idea from Ticket Services. I appreciate the “perks” of being an A’s STH – I have football, basketball, and hockey ST’s, and the A’s STH benefits top them all. One suggestion – “Overweighting” the % of promotional items distributed to the STH entrance would be a GREAT perk for the A’s most loyal fans and reward us for our support throught the season on non-promo dates. We had an outstanding experience using the A’s STH entrance for the Rollie Bobblehead. Thanks again for making this happen. I do have a question: Can we use our season ticket holder ID card rather than the credential for entry? The credential is large and doesn’t fit in a man’s pocket, wallet, or the ticket lanyard provided by the A’s.